Metro rails in India are a part of rapid transit. Other forms of transportation that include rapid transit are bus, monorail and light rail systems. The first in India was the Kolkata Metro which had started its operations long back in the year 1984. After that the Chennai Mass Rapid Transit System (Chennai MRTS) became operational in 2002 becoming the second mode of rapid transit in India. 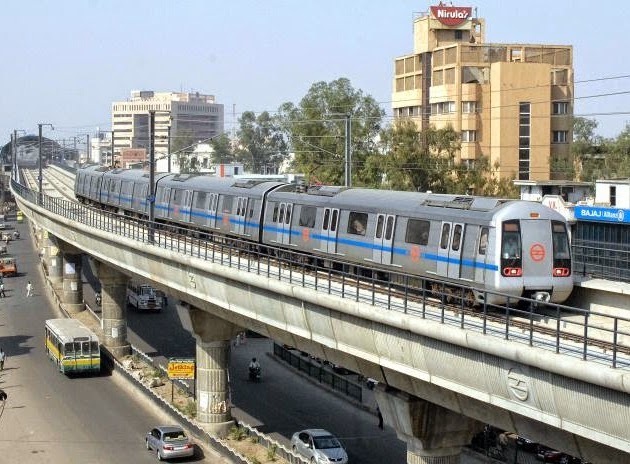 The Delhi Metro is the first modern metro rail system which had a huge impact on Delhi overall. The following article talks about the impact of Metro rail on the real estate market of the city. The construction of the Delhi Metro started on October 1, 1998 and still is in the construction phase in many parts of the Delhi (Ring road). Hence, according to the associate director of CEPT (Center of Environment Planning and Technology), property prices rose only minimally during the pre-construction and "under construction" phases. And the Delhi Metro has not only benefitted the residential real estate market. Commercial properties appreciated even more. Properties within 1 kilometer of the metro appreciated most. First Delhi - now Mumbai! The Mumbai real estate market was sluggish till the last quarter of 2013. But 2014 saw prices up by 2% in the first quarter, according to a report by leading real estate portal, 99acres.com [ read the entire report here- http://www.moneycontrol.com/mccode/news/article/article_pdf.php?autono=1006964&num=0 ] The rental values have gone up by 3%, compared to last quarter of 2014. The projects near the metro stations have initially seen a rise. According to Amit Sathe, the Business Head of Commercial Business of the Pheonix Mills Limited, the prices for residential and commercial properties after the opening of Line 1, have already seen a 20-25% rise than last year and predicts that the areas that are very close to the metro like the Bandra Kurla Complex (BKC) and Secondary Business District (SBD) will see an immediate price movement of about 35-40%. The next 4-5 years expect to see a 100% price increase especially for these areas. The SBD and BKC have always been one of the favorite spots for the investors as these areas have always given the investors a fair rate of return. The rental values of properties in these areas have been on the higher side and are expected to go up by 47% by 2017. There is no doubt about the booming market of Mumbai due to the Metro, but there are other infrastructural developments that have added to the property market of Mumbai. o The Mumbai Monorail is a transportation system in Mumbai that services between Wadala Depot and Chembur. This expansion of the public transport system in Mumbai is divided into two phases out of which the first line of the first phase was inaugurated on February 1, 2014.
o The Monorail has affected the micro markets of Chembur and Wadala. 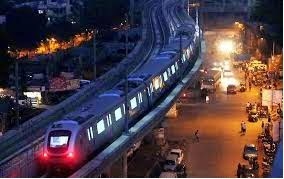 Ø The recently launched line 1 of the Mumbai metro has added good cheers to the realty market and the market that was stagnant has an infused life with these developments. Metro in the lives of Mumbaikars have surely made the difference. Other than easing the transportation, the metro has shown a considerable effect on the real estate prices.